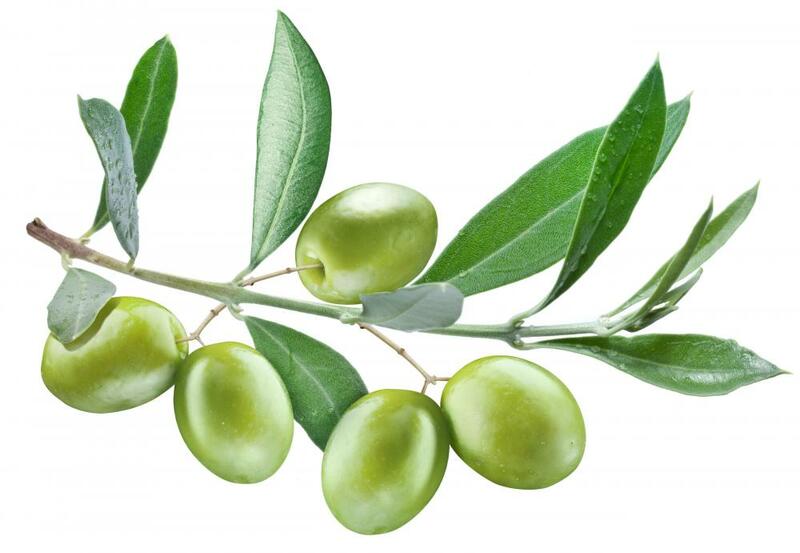 A branch of green olives. The chemical hexane can cause sleepiness. Expeller pressed oil is any sort of oil that has been extracted from nuts, seeds, or other sources through a mechanical process that relies on sheer force rather than chemicals. In more ancient times, oil expulsion was done by hand, often with mallets or crank-style apparatuses. Most modern machines are far more advanced and are able to expel quite a lot of oil in not a lot of time. Using an expeller still tends to be less efficient than extracting oils through chemical means, but many people believe that it is healthier and more environmentally conscious to avoid harsh additives, particularly in oils designated for human consumption. The basic idea behind expeller pressed oil is to force oil out of something — usually a nut, a seed, or a vegetable like corn — without using anything but mechanical strength. Most expeller machines are set up so that the target item is placed between two heavy metal plates. When turned on, the machine will typically rotate those plates, progressively pressing the target harder and harder. Any oil that is released during this process is caught in a runoff tray, where it is filtered and collected for later use. Small farms often employ single expellers in order to extract oil from crops. Larger manufacturing plants often have entire rooms or floors dedicated to expulsion, where multiple large machines are all operating at once. Expeller pressed oil is usually rightly advertised as “all natural,” as the process involves no additives or additional ingredients. This often means that the oil is healthier — but the process is not always very efficient. Even the best modern machines are only able to extract about 75% of the oil from most sources, which necessarily means that there is some waste involved. When it comes to nuts and seeds, the waste can often be used to make nut butters, or can be sold to snack food manufacturers to be used as a filler. Many vegetable “extras” are also of use in the pet food industry. The precision of the expulsion process combined with the necessary waste means that expeller pressed oil is often more expensive than oils extracted with the help of certain chemicals. For many shoppers, however, the extra cost is worth the knowledge that no foreign substances have made their way into the finished product. Coating nuts and other food items in hexane or similar chemicals before attempting to extract their oils typically yields a much higher return rate. The compound causes most organic materials to quickly break down, which boosts yields well into the 90% range when it comes to oil recovery. The machines used for hexane extractions are usually slightly bigger than standard expellers, and often have specialized chambers for storing and administering the chemicals. Environmentalists and health food advocates have a number of problems with hexane’s use in food preparation. Most oil manufactures use a number of different processing techniques to ensure that no residue makes its way into the finished product, but it can rarely guarantee purity. Even in trace amounts, the compound can have very serious health consequences. Most of the risks come when hexane is inhaled, as can often happen when oils containing it are heated as they would be for frying or cooking. The chemical can cause sleepiness, nausea, and headaches. Chronic hexane inhalation may also result in cramping and muscle weakness or deterioration. These effects will often decline after exposure ends, but they are nevertheless concerning. 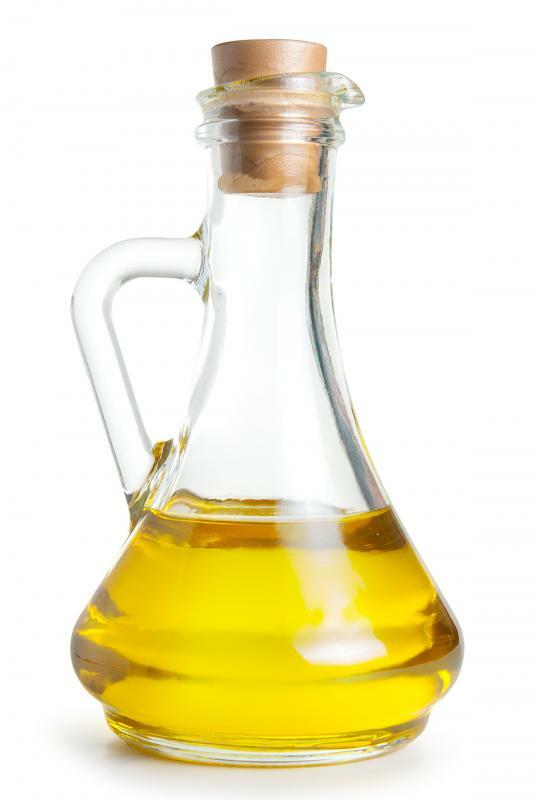 Expeller pressed oil is often very similar to cold pressed oil in that neither involves the use of any chemicals, though the processes involved in each are slightly different. Cold press methods also use an expeller machine, but only in a temperature-controlled setting. When the machine’s plates rotate and press the target object, a certain amount of heat is generated through friction, which the cold press method seeks to minimize. Cold pressed oil is most common for things that have a very delicate flavor that can be disturbed by excessive exposure to heat. Certain extra virgin olive oils are made this way, as are many grapeseed extracts. What is Cold Pressed Flaxseed Oil? What are the Dangers of Glue Huffing? What are the Different Types of Inhalant? What is Apricot Kernel Oil Used for? Can raw algae powder be pressed? I am a representative with Wildtree, and we sell expeller pressed grapeseed oil. We source our grapeseeds from organically grown grapes, and no chemicals/hexane or heat is used during the extraction process. Grapeseed oil has half the saturated fat of olive oil, and contains nearly 10 times the amount of essential fatty acids (omega-6's). I appreciate the explanation but i still wonder if expeller pressed involves heat. Does anyone know what oil manufacturers might do with the leftovers from pressing oils, particularly peanut oil? For greatest economy I'm sure they would use as much of their source materials as they could before selling or dumping any waste. I'm considering how I might create a low-fat peanut butter (or something close to it) for my personal consumption with crushed, mostly defatted peanuts. Does anyone know where I can buy genuine cold pressed corn oil? It is supposed to have medicinal benefits for parkinsons patients and my father has been taking it (imported from Australia) but the company he is ordering from has recently shut down. Thank you for this clear answer on "expeller pressed" oils. We have just bought a bottle of walnut oil by Spectrum and were not sure what to make of it. However, no country of origin is stated on the label, just "imported by...". Probably China? And it also says "packed with inert gas to preserve freshness" - ? tehachapi, unless the label says "cold pressed" or "expeller pressed" you can assume hexane has been used. It will not be listed as an ingredient, since that would be admitting that traces remain in the oil. Whether traces do in fact remain seems debatable. Anyway, an oil manufacturer will not brag about the toxins they use in their production. On the contrary, they will inform you only about what the law demands they inform you about, hopefully. Use only cold-pressed oils. You can assume that unless the label says "expeller pressed" the oil has been chemically treated. Thank you for the expeller pressed oil explanation. How does a person know whether or not hexane was used in the extraction process? If haxane is used in the process, does it have to be disclosed in the ingredients label? Your prompt response will be greatly appreciated.